We receive many, many phone calls per day. Unfortunately, we are not physically able to answer or return each phone call, and still be able to provide for the dogs in our care. We are hoping the following FAQ will be of some assistance before you call us. We are here to help - if you can not find an answer below, then please feel free to contact us. We will be more than happy to help, in any way that we can. We have a limited number of kennels, and are only equipped to handle a certain number of dogs and be able to do any good with them. We could - ideally - raise funds to provide more kennels, houses, food bowls, water buckets, and feed. However - we would not have the time to work with the additional number of dogs. There is no 'Waiting List' for any openings we may have by adopting any dogs out. Unfortunately, by the time we find a perfect home for one of our adopt-a-bulls, there will most likely be another dog that is in a more drastic need of being rescued. Any new dogs taken in by Shaw PBR are based on the dogs needs, not the owner/rescuer/caller. Unfortunately, any other organizations that could take in pit bulls are in the same situation we are in. You can find a list of pit bull friendly shelters here. Often, the only option you have is to contact your local Humane Society. It is a common misconception that a pit bull will be immediately euthanized. However, this is often not the case. 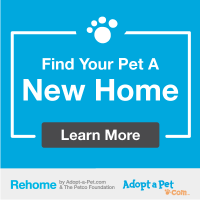 Many shelters will work with them and give them as much a chance as any other breed. However, if they are aggressive or mean, they will most likely be euthanized. We hate to say it, but if a pit bull is people aggressive, with no viable reason, it would be euthanized at our facility, as well. *Please note - that if the dog bites due to provocation, fear, or anything explainable, we will work with the dog. However, if there is no reason behind the bite - the dog is most likely suffering from a neurological problem and no amount of behavior rehabilitation could help it. All this being said, there are, unfortunately, shelters that euthanize pit bulls simply based on their breed. You would then need to weigh the options of whether or not this would be best for the dog, other than starving to death or being abused? If you can't keep the dog - there are limited options, and sometimes hard decisions need to be made. Please PM us on Facebook, or email us. It doesn't happen often, but sometimes we are out of the service area, service is spotty and we can't hear voice mail messages very clearly. WE WANT AN UNALTERED DOG, IS THAT POSSIBLE? No, it is not. Not from Shaw PBR. We would suggest that even if you do find an unaltered dog, that you have it spayed or neutered. There are too many unwanted dogs of any breed out there these days. There is no reason whatsoever to add to this problem. WE KNOW OF SOME DOGS THAT AREN'T BEING TAKEN CARE OF - WHAT CAN YOU DO? Unfortunately, nothing. You will need to call your local Animal Control and report the situation. If you do not have a local shelter, contact your Sheriff's Department. Shaw PBR can not go onto personal property and take a dog - whether it is being taken care of, or not. We are open Tuesday, Wednesday and Thursday from 8am-2pm; and Saturdays 8am-Noon. However, there are times when we will not be available (vet visits, testing, meetings, etc). Please give us a call at 662.386.SHAW (7429) to be sure someone will be here. WHAT IF YOU CAN'T KEEP AN APPOINTMENT? We respectfully request that as soon as you see that you will not be able to make a scheduled appointment, please call or text us (or even PM us on Facebook). See also "What Shaw PBR Does" and "What Shaw PBR Can NOT Do"